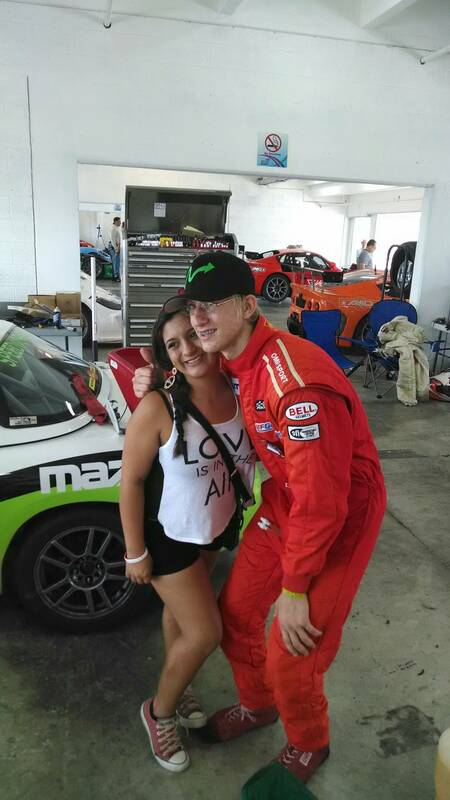 Man, this weekend was awesome! 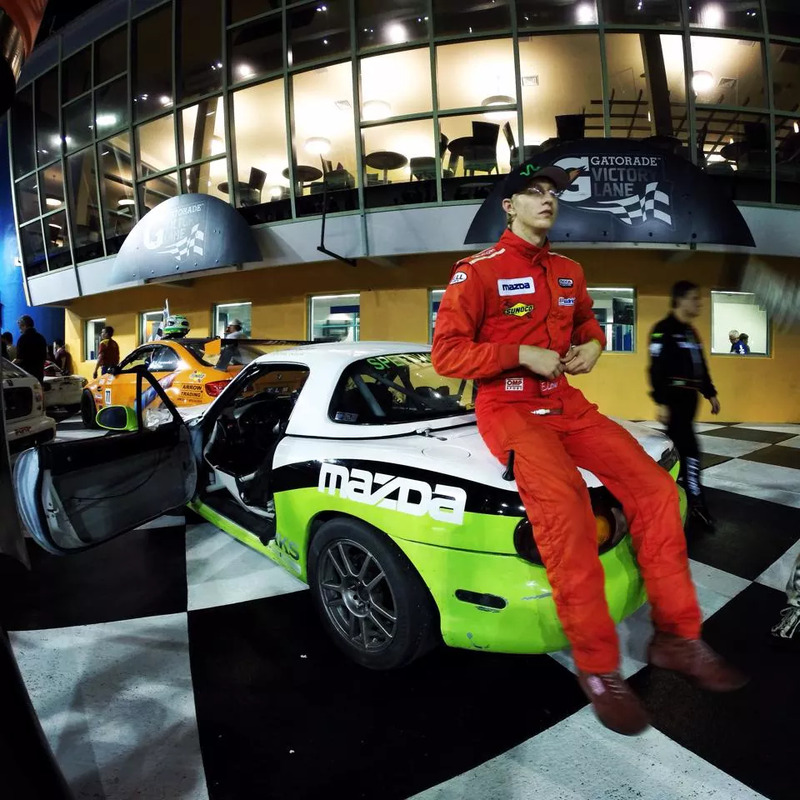 Jeremy Klein and I qualified the Mazda Miata SpeedWorks Racing third place in our class for the FARA Sunset 300 at the Miami- Homestead Speedway. 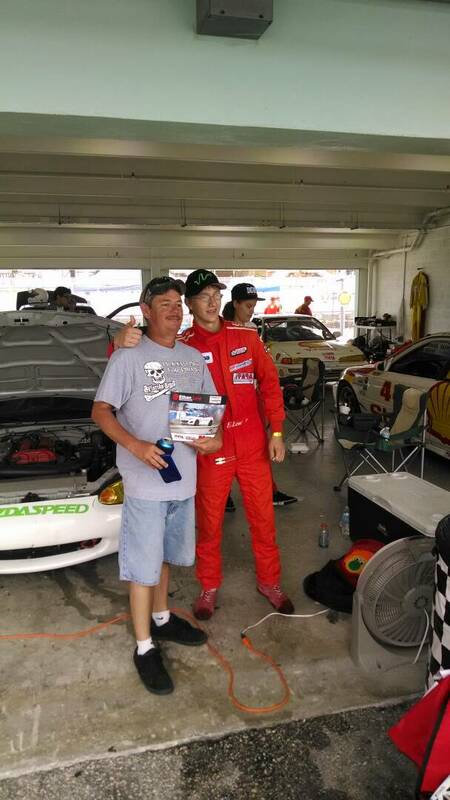 When I went to the grid, I couldn’t believe how many fans came out to support me and wanted my Hero Card (a card that has a mini biography of the racer and the names of their sponsors) autographed! The race lasted from 6-10pm. I started it by driving the first part (2 ½ hrs.) and Jeremy finished the remainder. By the time I reached turn one, I was in first place. Since we started behind the “big bore cars” (faster cars), I had to carefully weave my way through them in the turns since my car didn’t have as much horsepower as them. As the race continued, the big bore cars started to pull away on the straights, stretching the gap because of their motors. With a little help of double yellows, I started to pull a lap and a half lead. 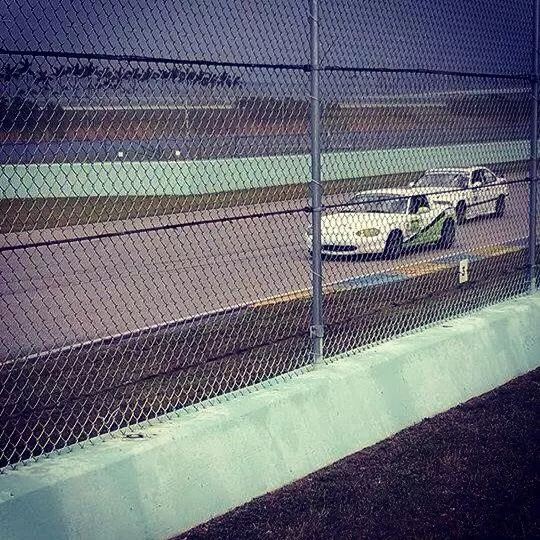 As I passed the car off to my teammate, we were a lap ahead of everyone else! Jeremy held our position strong but unfortunately we got a double yellow when the pace car got in front of us and gave the driver in 2nd place a chance to catch up with 30 minutes left in the race. In the end, the other team passed us and took the win (congrats to them) and we took 2nd in our class and 15th out of 60+ cars total! 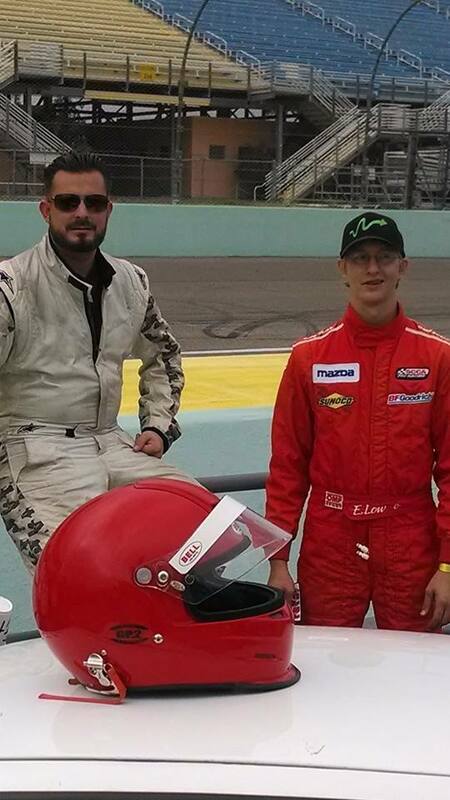 I am thankful to MazdaMovement and SpiralDust Media for promoting and preparing me for social media/interviews, Spirit Bands for the useful and supporting promotional products, Bell Helmets USA for keeping me safe while I drive, K&M Logistics, and SpeedWorks Racing for providing me one of the best cars I’ve ever raced. 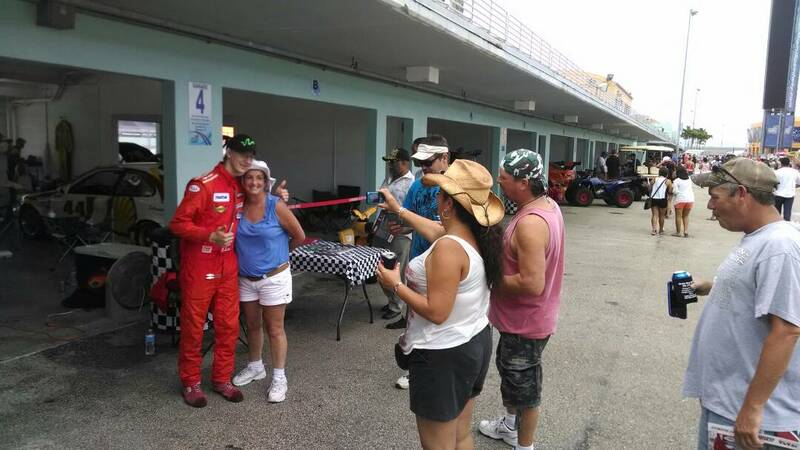 If you’re looking to get into or to rent a car, contact SpeedWorks Racing at (561) 441-1044. 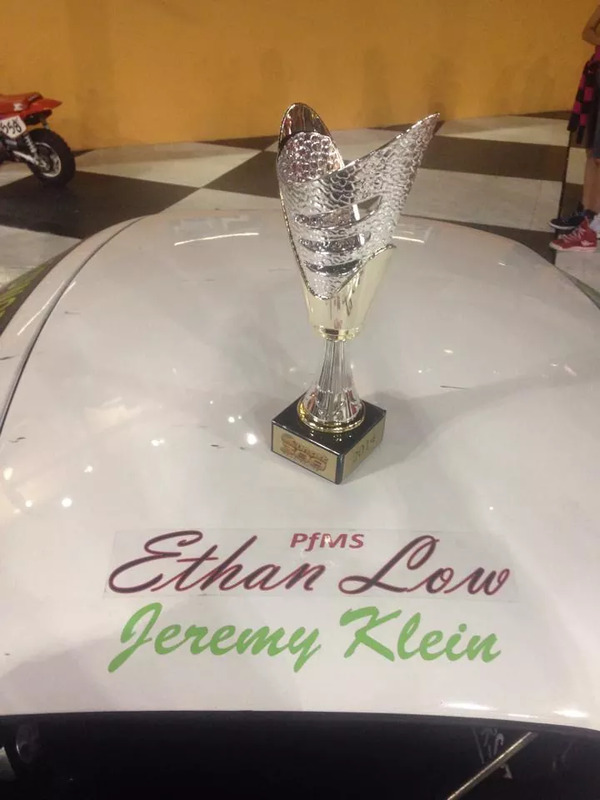 To get the latest updates on EthanLowRacing, follow me on Twitter: EthanLowRacing, Instagram: EthanlowRacing, FaceBook: EthanLowRacing or visit my website: EthanLowRacing.com. Check out this video of me in the 1st 4 mins and watch me eat up the traffic and pass a bunch of high horsepowered cars!